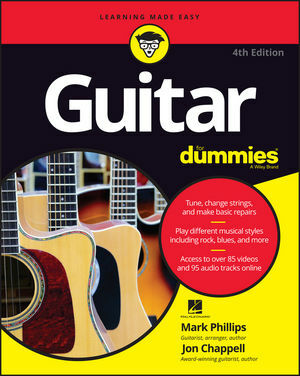 Guitar For Dummies, 4th Edition guides you in the development of your strumming talent—and who knows where that can take you! Mark Phillips is a former director of music at Cherry Lane Music, where he edited or arranged the songbooks of such artists as John Denver, Van Halen, Guns N??? Roses, and Metallica. Jon Chappell is a multistyle guitarist, arranger, and former editor-in-chief of Guitar magazine.